She is an active member of the Bear Creek Community Church, an avid golfer, and has a passion for horses. She was the founding member of Women's Success Group, (WSG) and is serving on the board as President. She is a member of the Chamber of Commerce, Certified Tourism Ambassador, Speaker, Rotary Club Member, Luxury Real Estate Specialist, and just recently began a new company 1 Simple Solution and is a NASMM member. She is very family and friend oriented and does her best to spend quality time with them. She truly feels that she has been blessed in her life. She is excited about Julie Cosgrove Real Estate Professionals at Keller Williams Realty and truly feels honored to have such a great team of people working by her side. You're nvited to take the time to get to know a little about them and we are all looking forward to working with you. When Julie was an owner of the Keller Williams office it was a life changing experience and very rewarding. It allowed her and her team of professionals to give more to clients as Keller Williams gives back to agents. Thank you for visiting! It is Julie's goal as your full service real estate company, to help people nationwide to fulfill their real estate dreams, and to provide you with superior service at all times. My expertise and extensive real estate experience will benefit you if you are serious about buying or selling your personal property, investing in a vacation home or income property across the Country. I am fortunate enough to work with a company that allows me to work with professional agents across the Country and share information that is helpful to all of my clients. It has become an honor to work with the senior community and their families. We take our service one step further by aligning ourselves with every aspect of a seniors move. Talk to us today about how we can help you and your family make one of the most important life decisions ever when it comes to downsizing or what we call rightsizings your elderly parent. Buying a home? I look forward to helping you select the home of your dreams by taking time to listen to your needs and desires. We have over 25 years helping buyers just like you fulfill their dream of buying a home. E-mail jcosgrove@kw.com us today and our Buyer Specialist will call you within 24 hours or sooner. If you need immediate assistant please call us at 209 298-0252. Selling a home? My real estate expertise and many effective marketing programs will give you the exposure and edge you need to sell your home quickly for top dollar. E-mail jcosgrove@kw.com us today and our listing specialist will call you within 24 hours. Vacation Home Exchange? The exchange program allows my clients to own their own real estate, gain the continued appreciation and have the opportunity to exchange it for other vacation destinations. Take partial ownership of your dream vacation home today. Just e-mail jcosgrove@kw.com me with your desired location and our specialist will get back to you within 24 hours. Looking for that perfect investment? We have teamed up with several investment clubs across the nation and can show you various opportunities that will fit your needs. Get on our e-mail list for the latest and greatest opportunity out there. E-mail jcosgrove@kw.com your information today and receive news you can use for investing. You will receive an initial phone call from someone on our team to get you started.I consider helping other achieve their real estate goals one of the most rewarding experiences I could ask for and I would love to share with you my enthusiasm and love for this business. I pride myself on providing unparalleled service and look forward to developing a long-term relationship with you. Please feel free to contact me if you would like to discuss how I can best assist you with your real estate needs. I AM INTERESTED IN LEARNING MORE ABOUT HOW YOU CAN JOIN A KELLER WILLIAMS OFFICE. If you are an agent and want to know how Keller Williams can benefit you call me directly or e-mail me at jcosgrove@kw.com and I would be happy help you get started on a rewarding career that will help all your dreams come true. "Carol & I could not be more Happy with our Home and we love how Julie & the entire Keller Williams Team worked hard to take such GREAT CARE of us. " "I would be extremely happy to highly recommend Julie Cosgrove and her wonderful staff at Keller and Williams to ANYONE who was looking for assistance with either buying or selling a home, especially for help - with the now popular - short selling of a home; as was the case for our family. Julie Cosgrove is a Tiger. She and her staff were unrelenting when it came to dealing with the banks on our behalf. She rescinded the banks foreclosure attempts on three separate occasions and always kept our best interests at heart. Mrs. Cosgrove was a joy to work with. Always positive and highly motivated, this professional and her staff are well deserving of the highest recommendation in the City that can be given by anyone. 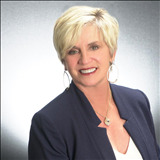 There is NOWHERE ELSE that we would recommend anyone to go other than to see Julie Cosgrove over at Keller and Williams. This Woman is a rock-star, and despite the problems that we had with the banks, she never let them slow our short-sale down. She is awesome! We would als"